Nashville provides many wonderful opportunities for fun and enrichment for children and families. One of our favorite places to go is the Nashville Zoo. We typically time our schedule so that we can eat our lunch while watching their daily program “Meet the Locals”. It’s a cute and informative program introducing the audience to native Tennessee wildlife. Each time we attend, I am surprised by some new fun fact about Nashville or Tennessee. One featured animal in the show is the Eastern Box Turtle, which is actually “the official state reptile of both North Carolina and Tennessee,” (http://www.boxturtles.com). Did you know that it is illegal to have a turtle as a pet in Tennessee? 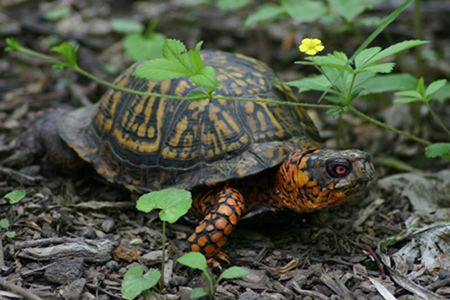 Eastern Box turtles are considered a threatened species (step prior to endangered) and thrive in their natural forest habitat filled with dense leaf cover. 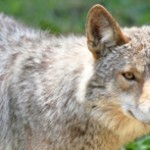 “Their territory consists of an area less than 200m in diameter,” (http://www.bio.davidson.edu) but their survival is threatened with urban development. The loss of rich habitat and an increasing number of accidents (hit by cars, trains, lawnmowers etc.) 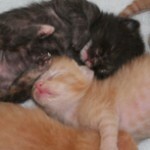 are greatly affecting their lifespan and ultimately their future. If you find a turtle, what should you do? Eastern Box Turtles were created with an amazing homing sense. This is especially important if you find a turtle crossing a busy street and want to help. Make sure you pick up the turtle and place him/her across the road in the direction he/she was heading. If you take him/her backwards, he/she will just try to cross the street again. If you just spot a turtle in the wilderness, leave him/her alone. If you find an injured turtle, contact our local wildlife center, Walden’s Puddle, and record the “EXACT location where it was found so it can be returned there when it has recovered,” (http://www.waldenspuddle.org).